Jeffrey Tambor has a cameo in three episodes of Entourage. 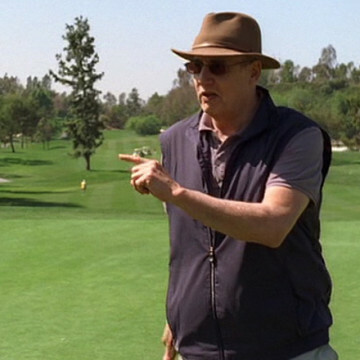 His first appearance is during the fifth season’s seventh episode and his second is in S06E05, titled Fore!, in which he and his fake sons accompany Ari for an emotionally charged charity golf outing. His uncanny ability to annoy the hell out of Ari provides comedic relief for a couple of the show’s more serious scenes. Tambor’s body of work is impressive and unmatched in its scope; he plays George (and Oscar) Bluth in Arrested Development and portrays Maura Pfefferman in Amazon’s Transparent.